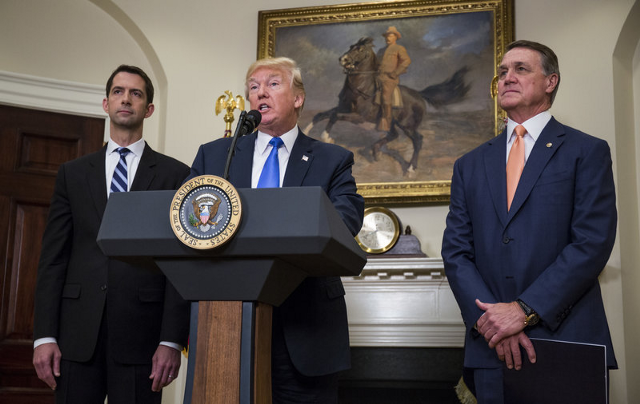 Why the RAISE Act is considered "dead on arrival"
There are plenty of reasons to feel uncertainty about immigration policy these days. This bill isn’t one of them. The RAISE Act doesn’t have the votes to pass Congress. For arcane parliamentary reasons, the recent bill to repeal Obamacare only required 50 votes in the Senate, and still couldn’t clear that hurdle. Passing a bill to reshape legal immigration requires a majority in the House (218 votes) and a supermajority in the Senate (60 votes). That level of support is unimaginable for a bill like this. Simply put, the RAISE Act is a “message bill”—that’s a term you hear a lot in Washington, DC to describe a bill intended to make a political statement, not to become the law of the land. Everyone does it, left and right. Here’s an Obama-championed bill to raise taxes on cigarettes to fund universal pre-K. Here’s a Republican bill to privatize 3.3 million acres of public lands. Like them or not, these bills are about taking a stand, not changing the law. They didn’t even come up for a vote, because they simply didn’t have the support to pass both houses of Congress—and neither does a bill to cut legal immigration in half.